When assembling a circuit, it's easy to forget that there's far more to it than just wires and solder. Terminal blocks are a useful, and often crucial, component for any fleet's electrical wiring needs. But what are their functions, and what do you need to know about them? Terminal blocks, also sometimes less accurately called "screw terminals," are essentially a form of electrical interchange that distributes power around your fleet vehicles. Just like a trucker takes a cloverleaf to get off one interstate and on to the next one, a terminal block serves as a sort of routing tool for automotive electrical purposes, both within circuits and connecting different circuits to each other. 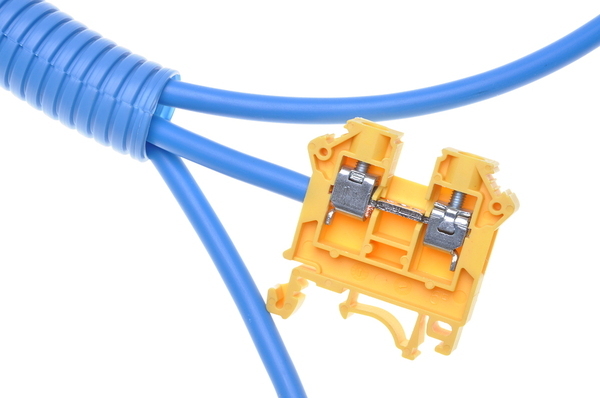 As a rule, you connect a wire to a terminal block either by stripping it of insulation, wrapping it around a screw, and then securing the screw in the terminal, or by soldering a connector to the wire and attaching it to the terminal. Generally in automotive electric you see the latter, although screw connections may still be present in some non-essential devices. Terminal blocks are designed for quick and simple connections that can be quickly done and quickly fixed. Generally terminal blocks have two purposes, to connect different circuits together and to provide an electrical ground for a circuit. Grounding, of course, provides a safe route for a circuit to terminate, reducing the risk of short circuits within your system or serious injury to members of your team. Connecting different circuits can be a time-consuming task that terminal blocks make easier, although for circuits that need to more strongly interact with each other, your fleet team may need to use different techniques. The main advantage for a terminal block is cost. Compared to other types of connectors, a terminal block is relatively cheap. It's also, to some degree, relatively a time saver, as connecting wires to one isn't an elaborate process and can be easily done by any well-equipped shop. If a driver is properly trained and has the correct tools, they can even effect small repairs to in-cab equipment on the road, depending on your policy. The main disadvantage, on the other hand, is that in the presence of vibration or jostling, wires can be knocked loose from terminal blocks -- even well secured connections. As a result, fleet teams should test a connection if possible before implementing it, to ensure that it can withstand the rigors it's being put to. Another potential drawback is space, as due to their construction, terminal blocks can only be so small. That can often make them a better option for in-cab and non-essential wiring. When choosing terminal blocks, it's important to consult with your team about their needs and concerns. Most terminal blocks, especially for fleets, have specific purposes they're best used for, and similarly they're not the answer in all electrical situations. 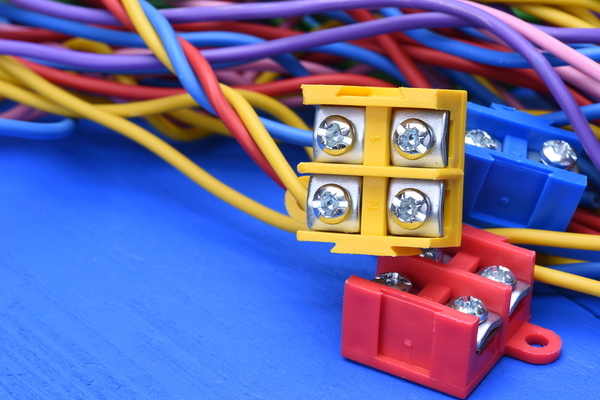 But, for quick, efficient connections and power distribution, terminal blocks are handy to have. For the best in terminal blocks and circuit connections, view our terminals and connectors.